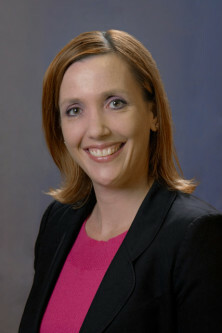 Jacquelyn S. Pillar is a partner with Crist, Sears & Zic, LLP. She received her Bachelor of Arts in persuasive communications from Valparaiso University and earned her Juris Doctor, with a concentration in labor and employment law, from Valparaiso University School of Law. While at Valparaiso, she served as a judicial extern for Magistrate Andrew Rodovich of the Northern District of Indiana and for Judge Julia Jent of the Porter Superior Court. She also participated in the Mediation Clinic, Admissions Committee, and Student Mentor Program and was active with the Women Law Student Association, Phi Delta Phi and Equal Justice Alliance. Jackie concentrates her practice in litigation, labor and employment law and school law. She is licensed to practice before the Indiana Supreme Court, the Northern and Southern Districts of Indiana and the Seventh Circuit Court of Appeals. Jackie regularly counsels and defends businesses and employers in both federal and state court litigation, as well as in proceedings before the Indiana Worker’s Compensation Board, the Equal Employment Opportunity Commission, the Indiana Civil Rights Commission, the Department of Education, the Office for Civil Rights, the Indiana Department of Workforce Development, and city and state organizations that enforce employment laws. She has handled cases before the Seventh Circuit Court of Appeals, the Indiana Supreme Court and the Indiana Court of Appeals. Jackie is a past Chair of the Board of Directors of HealthLinc, a federally qualified health center with various locations in Northern Indiana. She is a member of the American Bar Association, the Indiana State Bar Association, the Lake County Bar Association, the Calumet Inn of the American Inns of Court, the Defense Research Institute and the Defense Trial Counsel of Indiana.